"How to Buy HAPPINESS without Spending a Cent"
"Have you ever wondered if there is a formula for happiness and attracting more of what you want in your life?" Are you losing sleep over the regrets you have had in your life? Are you wondering how to stop them from happening again? 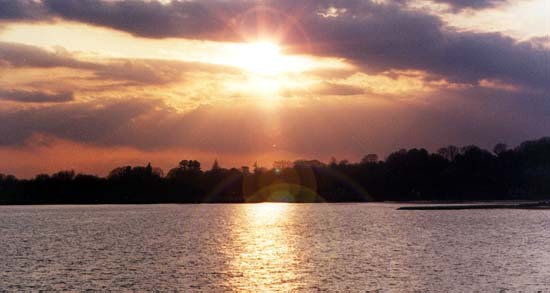 Do you want to be on your deathbed, feel at peace with yourself and look back with only blissful memories? If so, you’ve come to the right place. On this website, I help men and women over 21 move powerfully through their lives and get more of what they do want and less of what they don't. 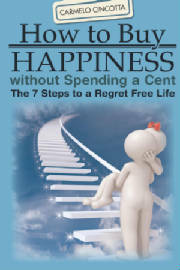 Carmelo Cincotta has found such a formula and shared it in his new book "How to Buy HAPPINESS without Spending a Cent". Carmelo says, "I myself, have been successfully using this formula and ideas for many years now, achieving a happy balanced life and assisting many other people in their lives as well". 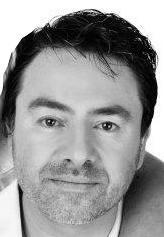 As a International Success Coach, he has studied Human Behaviour and Self Development for more than 20 years and says "I will be honoured to help you every step of the way to identify your life's purpose and bring fulfilment and happiness into all areas of your life". He has a Degree in Optimism from the School of Life.